Lace Braiding Machine - Charming Star International Co., Ltd. If you want to find a lace braiding machine which can brings you the maximum efficiency and quality, while without costly price, Charming Star is surely your best option. The equipment can produce fine lace in high speed production with various raw materials, bringing variety to your fine products, in which micro-computer controlling technology is applied to replace lag controlling technology. It has the advantages of strong adaptability high efficiency, easiness of pattern design, production and revision and simplicity of preservation. The lace braiding machine is provided by Charming Star factory, formed by a strong team of professional technicians, and equipped with complete sets of machine tools, inclusive of advanced facilities, and CNC. Charming Star has a long history of experience in designing and manufacturing fabric equipment. We’ve always been doing our best to develop new equipment products while improving the old ones to meet the demands from our clients. If you would like to know more about the detail of the equipment, please don’t hesitate to send your inquiry to us. 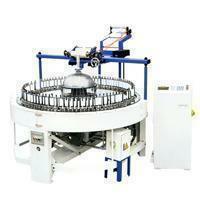 Providing the best quality lace braiding machine is what makes us more reputed among similar suppliers. high-grade dresses, shoes and hats, drawnwork table clothes, curtains, slip covers, bedclothes, toys and gifts. 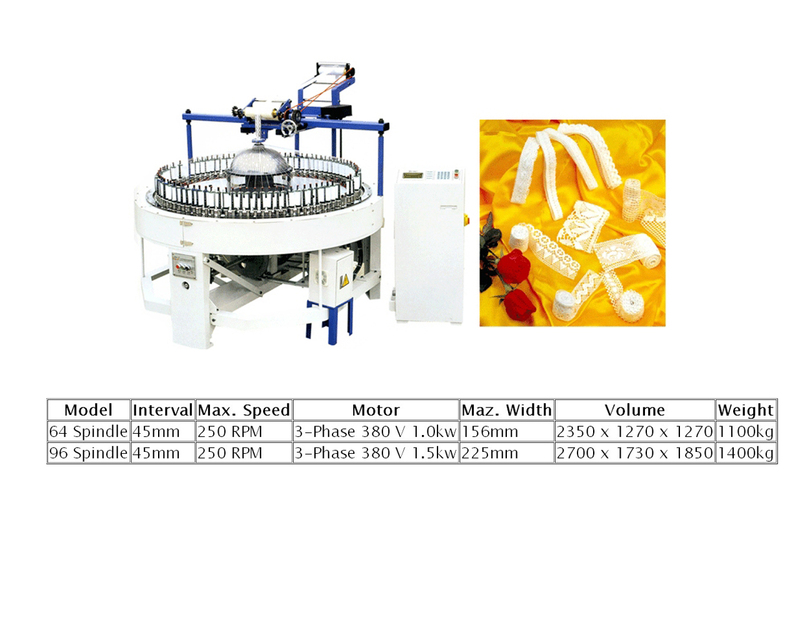 Substantial in structure, high performance, durable, simple operation and maintenance, and safe; using fully computerized control system exact transmission, low failure rate; transducer-control stepless speed change, and convenient regulatable applicable to all kinds of lace braiding machines; all such raw materials as cotton, linen, nylon, chinlon, polyester fibre and synthetic fibre etc.